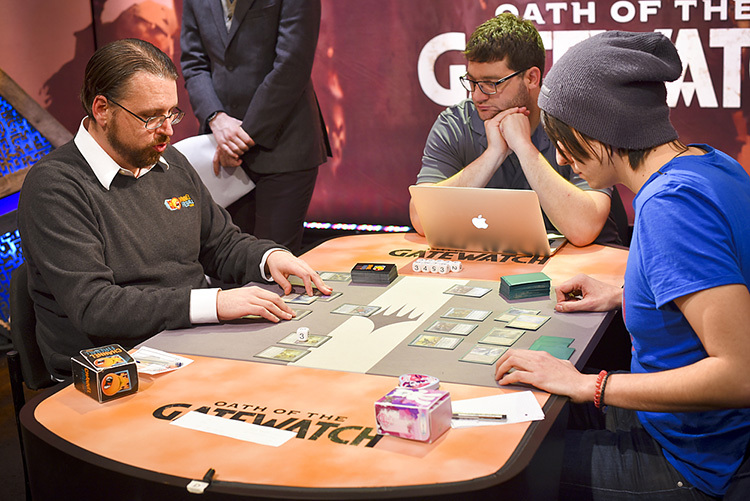 As Day Two of Pro Tour Oath of the Gatewatch neared its end, tensions across the room grew higher and higher. Nowhere was that more true than the feature match area, where Patrick Dickmann sat down to square off against Hall of Famer Luis Scott-Vargas in Round 14. Scott-Vargas had just defeated Frank Lepore in an instant classic the round previous to move to 12-2 and possibly lock up a Top 8 berth. However, being paired down against Dickmann, who was 11-3 and playing for his own shot at the Top 8, nothing was guaranteed, and everything was on the line as they prepared to battle. One of the big questions entering the Pro Tour was what Dickmann would play. Long known as a master of the Splinter Twin deck he navigated to a win at Grand Prix Antwerp in in 2013 and a Top 4 appearance at Pro Tour Born of the Gods, it was an open question what Dickmann would bring to Atlanta. For everyone but Dickmann, that is. 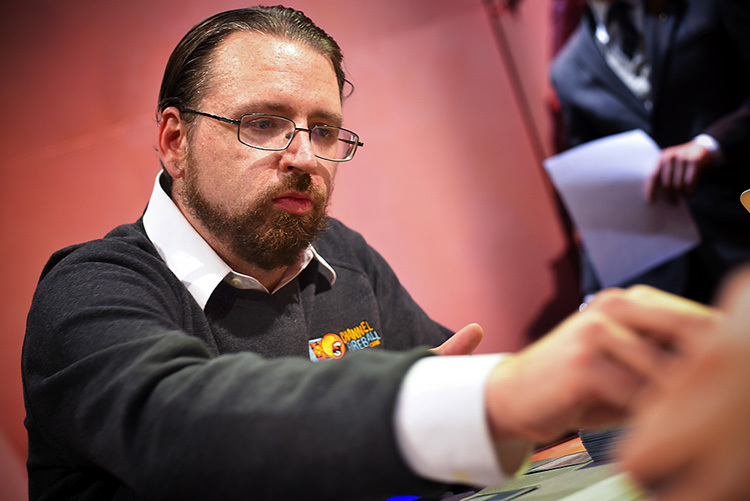 A member of the "Affinity Aficionados" group that informally teamed up before the Pro Tour, Dickmann said he has always enjoyed Affinity, even if he didn't play it in many major tournaments. In fact, he planned on battling with the deck in Atlanta regardless of how the bans shook out. Scott-Vargas was piloting the colorless Eldrazi deck that most of Team ChannelFireball and Face-to-Face Games had brought to the tournament and subsequently found mass success with. The combination of Eldrazi Mimic, Thought-Knot Seer, Reality Smasher, and a host of powerful lands including Eldrazi Temple and Eye of Ugin made the deck a monster at Pro Tour Oath of the Gatewatch. Hall of Famer Luis Scott-Vargas had virtually locked his spot in the Top 8, but Patrick Dickmann, who was paired up, had a clean shot with a win. Aware that Dickmann was playing Affinity, Scott-Vargas confidently played Chalice of the Void set on zero, a play that had the potential to completely shut out the Affinity deck. Unfortunately for Scott-Vargas, it didn't actually do much in this particular game, shutting off only the lone Memnite in Dickmann's hand. Dickmann had Steel Overseer, and though the first one was met with a Dismember, the second one survived. While the Steel Overseer was a dangerous threat, Scott-Vargas shut off even more of Dickmann's deck when he deployed a second Chalice of the Void, this time for two mana. 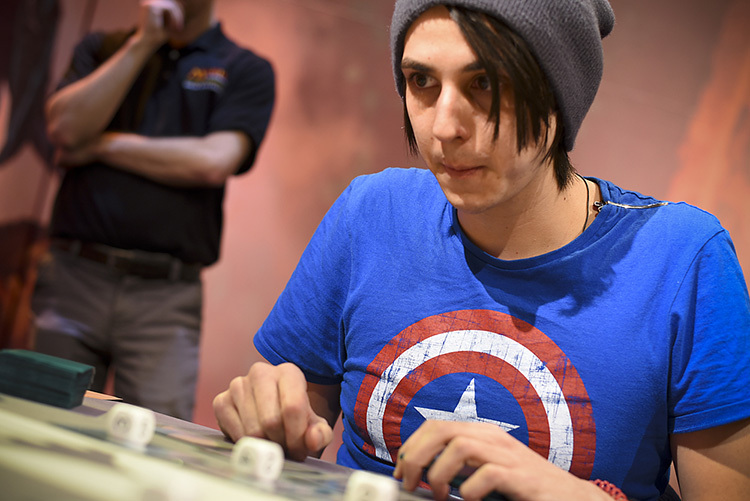 With a Matter Reshaper attacking and more live top-decks than his opponent, Scott-Vargas looked to be in control of the game. Scott-Vargas has been doing far more than simply smashing realities all weekend. That is, until Dickmann played Master of Etherium and then Signal Pest, cleanly dodging the Chalices. With the Steel Overseer to grow his team and Scott-Vargas drawing blanks, Dickmann was able to steal away a game he looked to be locked out of. "I had a great hand against some of your draws, but not against that one," Scott-Vargas lamented as they shuffled for the second game. While the first game represented a slow start for Dickmann's Affinity deck, the second one made up for it. Double Vault Skirge plus Ornithopter arrived on the first turn, while Master of Etherium hit the board on the second, while all Scott-Vargas could muster was Matter Reshaper. Dickmann was more than a little familiar with Affinity. The flying assault began, putting Scott-Vargas on the back foot quickly. He tried to fight back with Thought-Knot Seer and removing Cranial Plating, but that meant leaving Arcbound Ravager to Dickmann. When the Ravager arrived with a third Vault Skirge on the next turn, Scott-Vargas saw the writing on the wall and extended his hand, welcoming Dickmann to the Top 8.